The Cortland’s Lions club has been serving the community of Cortland for over four decades. Their fund-raising activities not only bring needed help and awareness to problems local and nationwide, but also help to create and support the community spirit of Cortland. Lions Club International is the largest service organization in the world, with 1.4 million members. The Cortland Lions participate in global service programs, as well as nationally based programs. 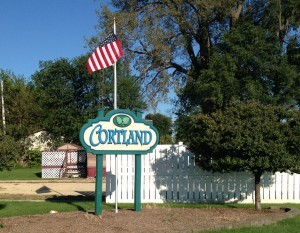 Their main focus, however, is serving the community members call home: the town of Cortland. Lions give 100% of donations raised through fundraising to their causes. The cost of fundraising is paid through member dues. When members of the community come out and enjoy a Lions Club Pork Chop Dinner, or the Turkey Trot, or any of the other great events organized by the Lions, 100% of the money raised goes to help those who need it most.